Creating custom costumes for the stage and beyond! Explore my website to find out more about me and my work. I am a Draper and Costume Technician, specializing in theater and dance costumes. 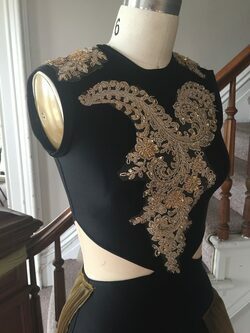 I also create custom designed garments for private clients, from figure skating to historically inspired wedding gowns. Nancy Lushington's American Baroque. Costume Design by Dierdre Morgan. Co-Draped with EB McTigue. 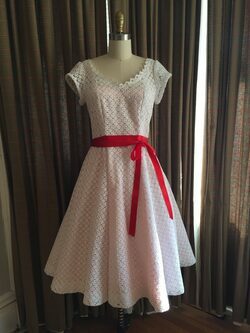 Maria's Dance at the Gym dress in West Side Story. Designed by Samantha LaScalla. This work by costumesbyjeanette.com is licensed under a Creative Commons Attribution-NonCommercial-ShareAlike 4.0 International License.